70% of wealthy families lose their wealth by the second generation, and a staggering 90% by the third, according to the Williams Group wealth consultancy. With statistics like these it’s no wonder more and more people are thinking about their financial resources for their future generations. Only a 10th of British multimillionaires have wealth that was inherited An article by The Barclays UK Prosperity Map showed that “one in 65 UK adults are now a millionaire”. This means the number of millionaires in the UK has shot up by 41% (200,000 people) over the past five years. The significant rise in the number of millionaires in the UK over the last 20 years has led many financial planners to expand or focus on wealth management, particularly investments and how to maintain/keep generational wealth. Despite this rise in the super wealthy, there is still a significant lack of this wealth being passed through generations. After working hard for many years, you’ll most likely want to protect the financial wealth you’ve accrued through your endeavours to those you care about the most after your death. Talking about such things can be upsetting but it’s essential to in the long run, to give you and your family piece of mind. By taking certain measures you can ensure that your financial assets are preserved for future generations to come. An assessment of your portfolio will help you outline your financial goals. An assessment can look at your present expected returns, risk tolerance, any tax restraint and projected cash flow and liquidity requirements. Through this a financial advisor gains a clear idea of your monetary position, both currently and in the future. Following on from this an advisor will suggest some investment plans, highlighting any future tax issues. Many financial advisors mention family meetings, but many don’t have them. The fact that most substantial wealth is gone within three generations communicates that there’s an issue of not only money being successfully handed down but also values. Educate your family by discussing wealth management openly, particularly your children. The sooner they learn the best practices of managing money in order to retain wealth, the better. Encouraging your children to make investments, no matter how small, is a great way to get them to understand financial matters. Talk through the processes, the goals and the rewards of investing. With solid financial acumen learned, children can pass this know-how on to their children. Along with how to make sensible investments, talk about how to restrain spending. Inform your family about making unwise or unnecessary purchases. Demonstrate situations where you have successfully been restraint with your finances. Some proactive families incorporate their financial advisor in family meetings to give professional advice to the family. This can be a great way to demonstrate the gravitas of the issue along with sharing and talking about how to manage wealth. Estate planning helps anticipate, arrange the management and disposal of a person’s estate both during their life and after death. Estate planning will minimise gift, income tax and generation skipping transfers, whilst reducing uncertainties over probate administration and capitalise on the estate’s total value through tax reductions. An estate planning’s goal can be determined by you, and can be as difficult or basic as your wishes demand. Making a financial gift to family or friends whilst you’re alive reduces the value of your estate for Inheritance Tax, allowing your benefactors to profit immediately. Whilst alive you’re entitled to a ‘gift allowance’ of up to £3,000 per annum. This is called an annual exemption. This exemption allows you to give away cash or assets to the total of £3,000 within a year without incurring Inheritance Tax. Any good business plan is laid on a foundation of clear goals and objectives and this also applies to wealth management. Your mission statement should include how the inherited money is used. Don’t shy away from clarifying the dos and don’ts of this. IE ‘Don’t use this money for sports cars. Do use it for a deposit on the home but make sure you pay it back’ etc. From talking with your family members and a financial advisor you can clarify the main desired outcome (retaining wealth) and steps on how you will achieve this. Collective goals focus people and have a better chance of succeeding. Try not to focus on money solely. The main result of retaining wealth is what that money can do for the family. The experiences, property and opportunities it affords a person. Clarify a long-term plan broken up with financial milestones at desired intervals, clearly mapping out the objectives for the family. IE, ‘in one year we’ll have a trust. In two years, we’ll have X amount in that trust’ etc. Create a family council. This is a great way to manage the family’s finances and any decisions that involve money. If you have family members who spend money a little too freely, it can also act as a barrier to these spendthrifts. Family members will have to go to the council to access the funds, preventing any frivolous purchases or any unwise investments. A family member can go to the family council with a business plan but will only be able to action it with approval from the council. A family bank, run by the Council (made up of members of the family), works by lending money to family members as needed. This eliminates bank fees, interest payments and insurance charges, thus your family will retain more of their assets. Trusts control your assets for the benefit of one or more people and are a great way to protect funds from estate taxes and capital gains. Along with this protection, trusts can also accrue a tidy amount of interest, depending on the markets and which type of trust you want to take. There are several types of trusts to choose from, each catering to different needs. Bare trusts: Bare trusts are where the beneficiary gains immediate rights to the assets in the trust and the income it generates. Interest in possession trusts: These are trusts are where the trustee must pass on all trust income to the beneficiary as it arises (minus any expenses). Discretionary trusts: With these trusts, trustees can make specific decisions concerning how to use the trust income. Accumulation trusts: Trustees can accumulate income within the trust and add it to the trust’s capital. Mixed trusts: These are a blend of different types of trusts. Tax rules applies to different parts of the trust. Settlor-interested trusts: These are where the settlor or spouse benefits from the trust. Non-resident trusts: This is a trust where the trustees aren’t resident in the UK for tax purposes. One thing they all have in common is they all work towards minimising taxes and maximising inheritance for your beneficiaries. Trusts insure that all sums and directions are carried out to your specified wishes. Trusts are also a great way to protect your assets from any potential ‘gold-diggers’ and those not in your family. The subject of wealth preservation is something a qualified financial advisor can help plan and put into place. The financial advisor can help to make your savings and investments tax-efficient using trusts. A financial advisor can guide you through the whole process, from helping install better monetary values to your family and estate planning to setting up family banks. 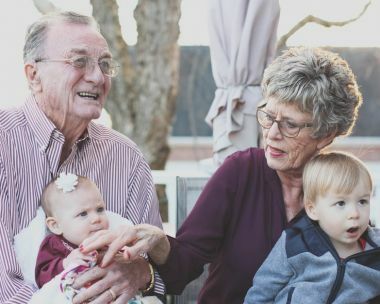 By making use of these ways to retain wealth over several generations of your family, you can ensure that your valuable assets are kept in the most financially prudent and effective way. Get in touch with a financial advisor at IMC and discuss your goals and objectives to ensure your family are well provided for when you no longer can.